The 2018 season has been a roller coaster for the team. From cold hard days in Belgium to the sunny podium in Denver the men’s team has been through it all. The women have seen success after success, from crushing their first race at Valley of the Sun to dominance all the way until the final race of the season in Colorado, they were unstoppable this year. It’s been a roller coaster of a season, with that sweet head-rush of leaving the ride wanting more. The season opened up with a bang for both the men and women. The men making waves at the Vuelta a San Juan and the women following suit by crushing the competition at Valley of the Sun. Both races showed that the early season fitness of the team would be good heading into the spring. The women’s team had a long training block in the early spring as they headed toward Tour of the Gila, Redlands Classic, and the Tour of California giving them ample time to get their minds and bodies ready for action. 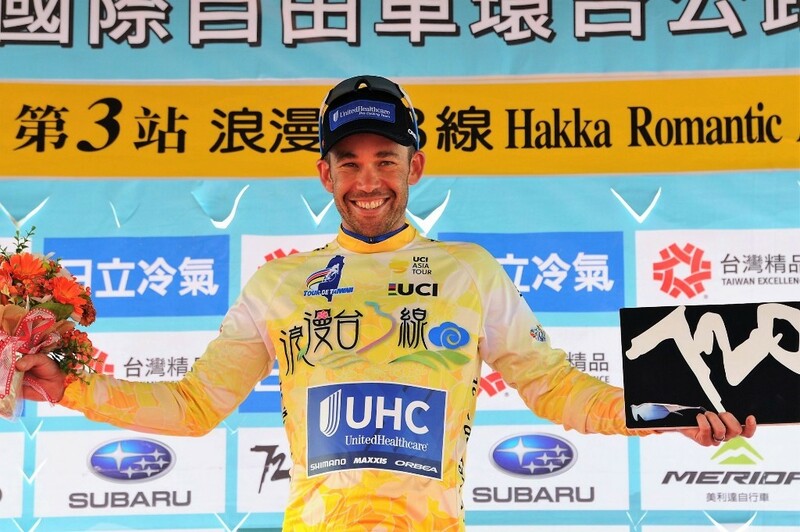 While the women worked as a team on training, the men raced around the globe with big successes at the Tour of Taiwan, where Jonny Clarke took 2nd overall on the GC after wearing the yellow jersey on stages 4. The 2nd place in Taiwan was a momentous finish for the Australian all-rounder, who is known for his hard work in the peloton. While part of the team worked in Taiwan, another part of the men’s squad was setting up shop in Belgium to take on the spring classics. Harsh conditions, and difficult racing helped to harden the team heading into the American stage racing summer. Strong finishes for Tanner Putt at the Johan Museeuw Classic and Le Samyn showed the American’s penchant for racing in tough conditions is well earned. As the American summer racing season got underway, the men and women headed to Arkansas for the Joe Martin Stage Race. Joe Martin is the traditional start of the stage-racing season for many teams, and both squads came out ready to rumble. After a strong TT finish, and second place in the criterium Katie Hall took her first GC win of the season. The men’s team had a great run as well claiming two stage wins and putting Daniel Jaramillo in 5th overall on the GC. Running on adrenaline from their wins, both squads headed to New Mexico to take on the Tour of the Gila. The team showed its strength with Serghei Tvetcov taking the win in the TT, and Diana Peñuela winning the final stage. The women’s overall saw Katie Hall continue her dominance, winning stage 1 and defending the overall lead all the way to the end. Redlands Classic was up next on the calendar, and Katie Hall was again dominant. Racking up her third GC win of the season at a major American stage race, many in the peloton wondered if Katie Hall was unstoppable. At the same time, Gavin Mannion continued his steady pace finishing 4th overall on GC among an intensely difficult field. Redlands is the traditional precursor to the Tour of California, letting many in the peloton get a preview of what they are up against. The team went into the big show ready for action, and we definitely had something to prove. After the narrow defeat of Katie Hall in 2017, the women wanted to win badly. And win they did. Katie Hall took a massive 25 seconds out of her closest contender in the critical mountain top stage finish at the Heavenly Ski Resort, pushing her into a dominant lead. Throughout the week of men’s racing, Gavin Mannion continually improved his position overall, ultimately finishing 11th overall in the GC. Katie Hall finished the women’s race taking the overall GC win, earning the biggest success of her career. After the strong showing in California the men’s team flew around the globe to compete at the Tour de Korea. Serghei Tvetcov had been continually impressive during the week of racing in California, and the conditions in Korea proved to be perfect for the Romanian rider. He took the overall lead on the third stage, and held it all the way to the end. The overall GC win for Tvetcov proved to be the biggest win of his already decorated career. The successes continued to rack up. Following on the heals of success in Korea, Tvetcov continued to impress as the men’s team returned to North America for the Tour de Beauce. Tvetcov proved his mettle, rocketing to the win on the stage 3 time trial and ultimately finishing 3rd overall in GC while taking home the points jersey. As July came into swing, the women headed to Europe to begin a block of racing in the old roads of the continent. One of the big targets for the European campaign was the Tour de Feminin in the Czech Republic. It was a blue studded podium week for the women with Lizzie Banks earning 2nd on the opening stage, Lauretta Hanson taking over yellow after the TT, and finally Leah Thomas earning the overall win. With August approaching fast, the men’s team prepared for the Tour of Utah, and both squads got ready for the Colorado Classic. While they worked tirelessly to get ready for the races, Shawn Morelli headed back to the Para-cycling World Championships. 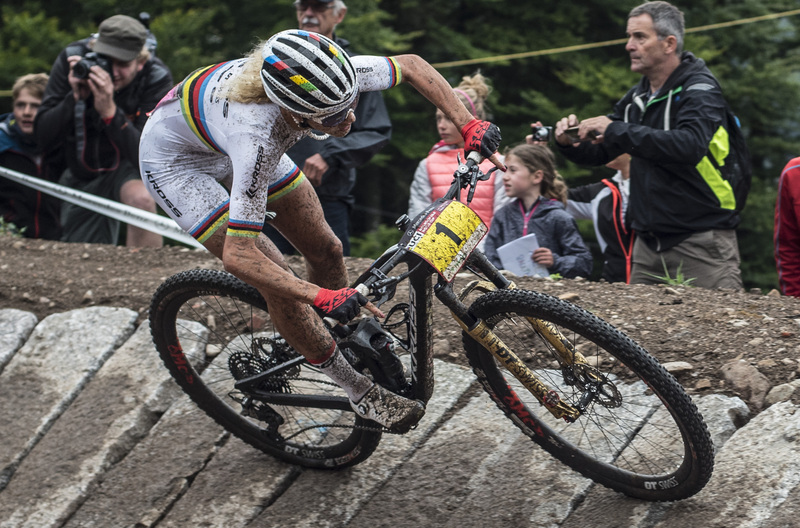 She pushed herself to the brink and earned three more world championships. The Tour of Utah let the boys in blue show their strength, with Tvetcov coming out hot finishing 6th in the time trial prologue. Stage 1 saw Travis McCabe put his sprint into perfect form, taking the win in the Cedar City. Still wearing the white points jersey McCabe stormed to another win on stage 3, out sprinting the bunch. He nearly did it a third time, but McCabe was edged out at the line on stage 4 in a photo finish. At the end of the week McCabe took home the points jersey, and became the winningest rider in Tour of Utah History. Finally physical preparations were ready, bikes clean and tuned, and the team was on the line for the start of the Colorado Classic. The four-day event in the mountains of Colorado and in circuits around Denver always proves to be an exciting event. After the huge successes the men saw in Utah, and the women’s continued excellence both squads were targeting the overall win in the mile-high state. Immediately from the start it was clear that both the men and women came to win with Travis McCabe taking 2nd on the opening stage and Leah Thomas earning the Queen of the Mountains jersey on the short women’s stage 1. Then it began, the 1-2 punch. On the TT stage, both men’s and women’s teams went 1-2 with Katie Hall and Leah Thomas, then Gavin Mannion and Serghei Tvetcov. The 1-2 turned out to be the number of choice for the team with Hall and Mannion holding the leaders jerseys through the third stage, and Thomas and Tvetcov also retaining their 2nd place spots. Ultimately the team earned historic wins with the overall GC title in both the men’s and women’s races, plus second position, and the team GC titles. As we start to get off the roller coaster that was the 2018 season, in our breathless state we want to bid a fond farewell to Lauren Hall. She has chosen to retire after this year, and after a season like this who can blame her. She’s been a great inspiration for our women’s team, and we wish her the best of luck in all her endeavors. We want to say thank you to our fans, without you we wouldn’t have been able to do it. We are here because of you. So, thank you! We would also like to thank UnitedHealthcare for an amazing sponsorship run. As we head into the fall we are still waiting on a final decision about future sponsorship possibilities, and are excited to see what is next. Keep your eyes out for us, your antennas tuned to the blue train channel (but when you see us next we might be in a different color), and always keep your eyes down the road. Thanks for joining us on this ride, we’ll see you next time.